Everyone loves to shop online. Great deals. Usually free shipping. Sales tax - maybe. And the number of shoppers is growing at an ever-increasing rate. But someone has to ship all those products. And if you are a company that sells a wide range of packages, you can run into a bottleneck when trying to apply shipping labels to cartons as they fly down the conveyor of your distribution center. You need label printer-applicators that ccan keep up with demand yet be flexible enough to handle variable-height labeling. 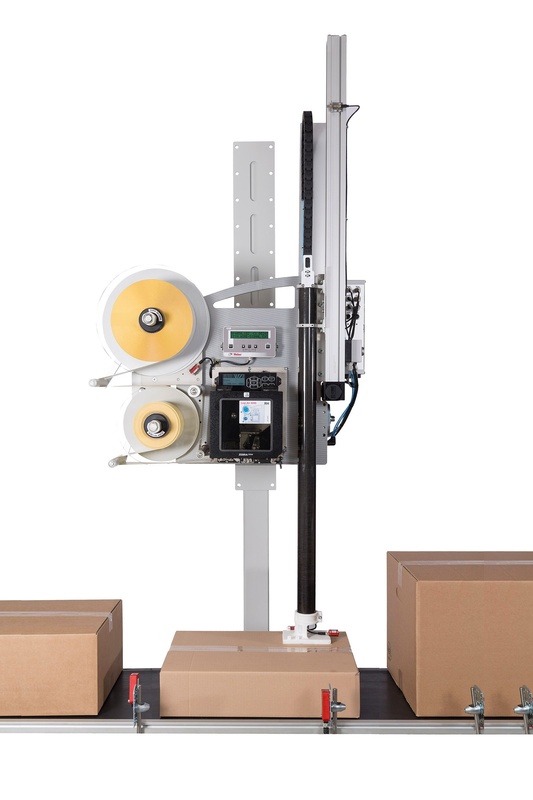 Answering the demand for newer, faster and more versatile labeling systems, Weber has created the LA-6000 Label Printer Applicator to meet the requirements of distribution centers to label variable-sized cartons at ever increasing line speeds with accurate shipping information. This reliable and cost-effective printer applicator uses the tamp-blow method to print and apply up to 40 labels per minute to products that vary in height up to 19.68” (500mm).